A couple of birds hanging out on our balcony. We think the one on the left is sick. 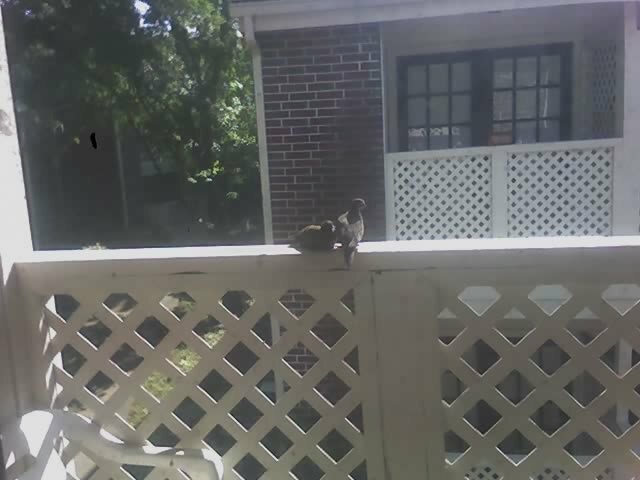 We walked outside, and the bird on the right flew to the next unit over, watching us. The left one just sat there.